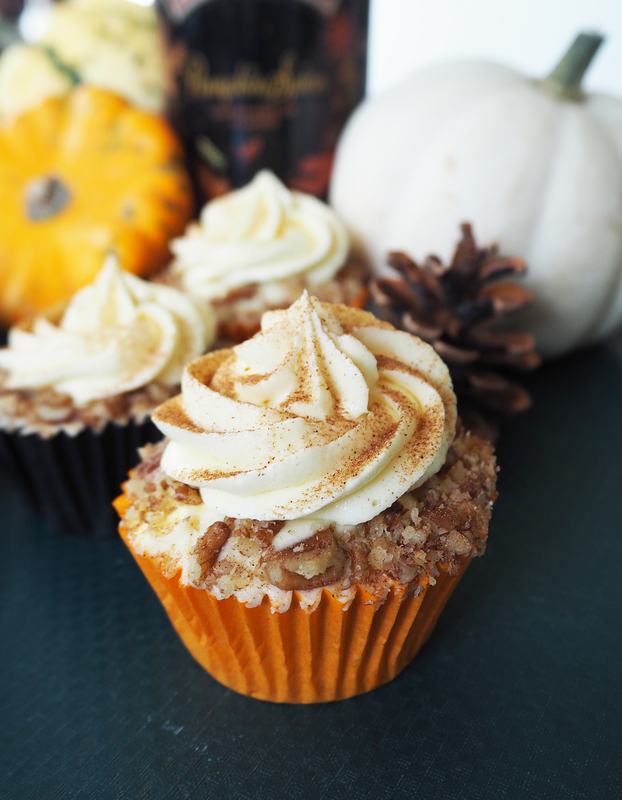 I made these delicious Baileys Pumpkin Spice cupcakes for a Halloween bake sale at work, raising money for my volunteering project in India at the start of next year. 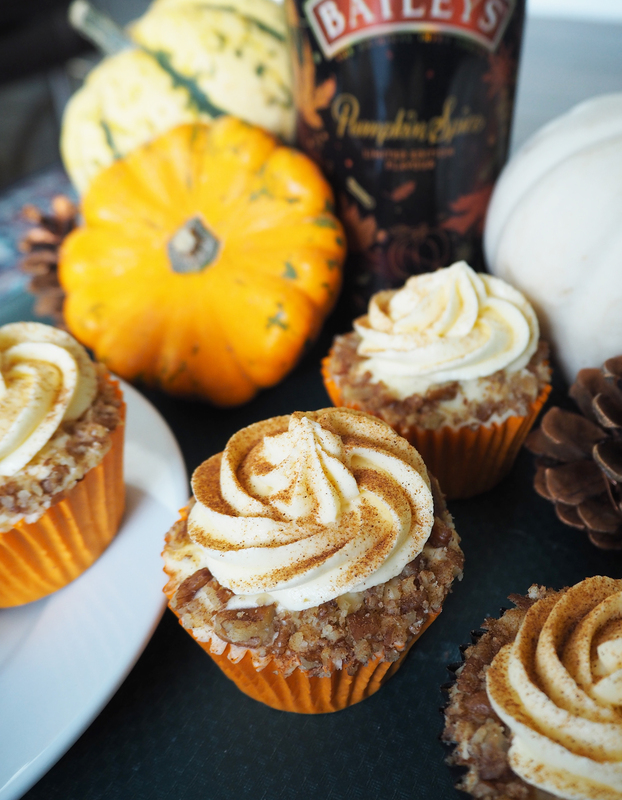 However, these cupcakes would make a great treat at any point during autumn and winter. With a mix of spices, including cinnamon, ginger and nutmeg, the light and fluffy sponge brings instant Christmas feels. 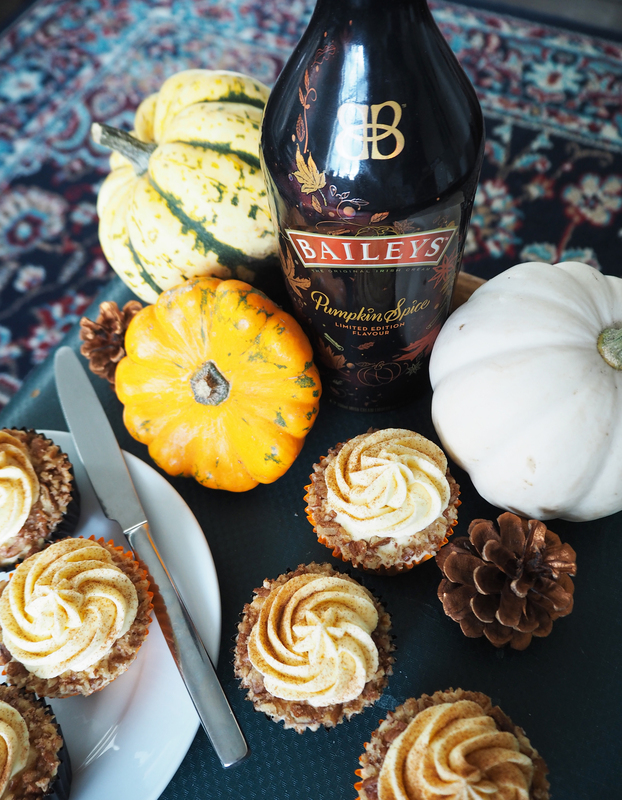 The Bailey’s Pumpkin Spice is added to the creamy frosting, but you could add a drop to the cake mix for an extra punch. 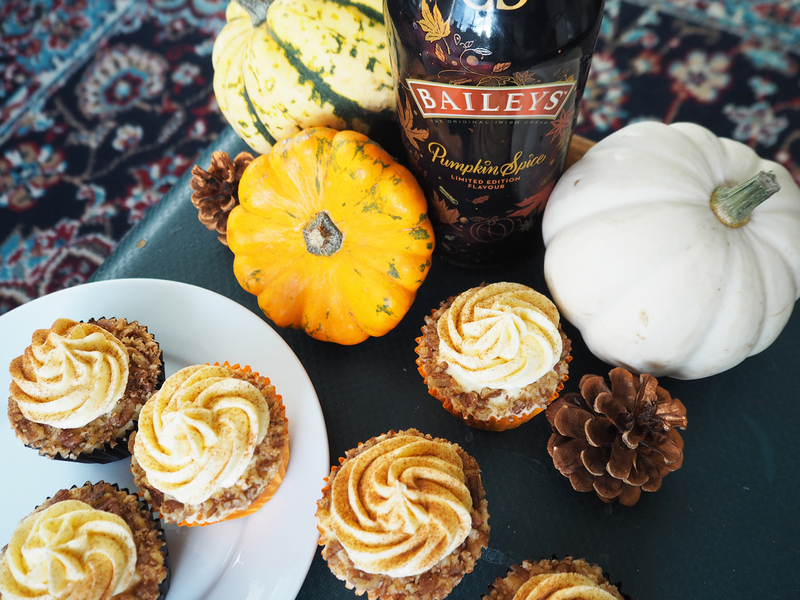 And if the Pumpkin Spice bottle isn’t available, you could substitute with Bailey’s Original or any of their new flavours. 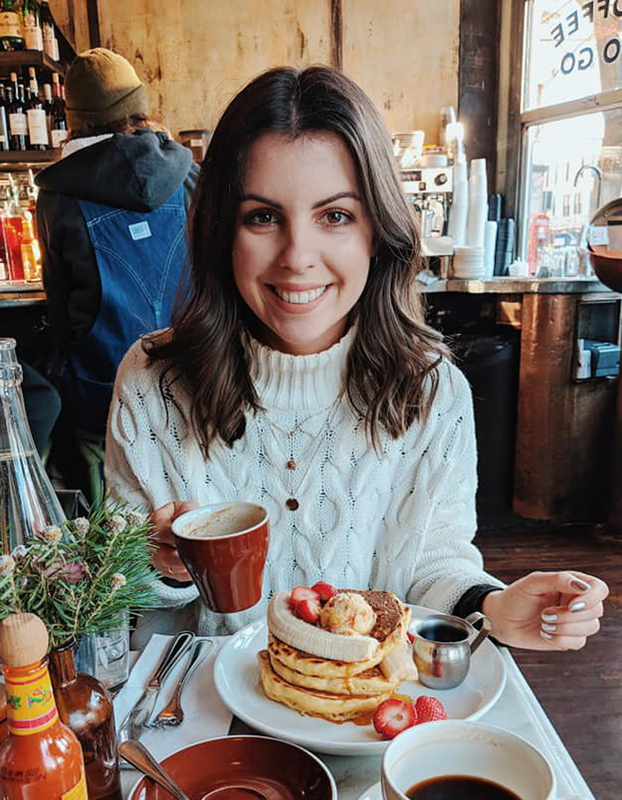 I spotted an almond bottle on someone’s Instagram the other day. That could be interesting! I’ve decorated mine with a pecan crumb for added crunch and it works great with the spice. However if you have a nut allergy, or aren’t a fan of pecans, you could easily remove this step and drizzle with a little honey instead, or leave them bare and let the scrummy frosting do all the talking. Preheat oven to 180 degrees and line a muffin tray with cupcake cases. In a large mixing bowl beat the unsalted butter and caster sugar until creamy. Mix in the dry ingredients and mix thoroughly – self raising flour, salt, cinnamon, ginger and nutmeg. In a bowl of stand mixer, beat butter, granulated sugar and brown sugar until creamy. Fill the cupcake cases two thirds full with cake mixture and bake for 20 minutes, or until a skewer/toothpick comes out clean. Let the cupcakes cool in the muffin tray for 5 minutes, before removing to wire racks until cooled completely. To make the frosting, cream together the icing sugar and unsalted butter. Add Bailey’s Pumpkin Spice and mix thoroughly. Decorate the cupcakes either with a palette knife or by using a piping bag. Gently roll the edges of the icing in crushed pecans, dust with cinnamon and voila! Who Wins When You Play the Lottery?